Southern Pacific’s Shasta Division Archives were saved and protected by Dunsmuir residents John Signor, Jerry Harmon and Bruce Petty for the last 25 years. These three men along with the Dunsmuir Railroad Depot Historical Society recently struck an agreement to make the archives a part of the Dunsmuir Museum. In the late 1980’s Southern Pacific Transportation Company was absorbed into Rio Grand Industries (Denver & Rio Grande Railroad). The Dunsmuir engineering office was closed and many of the files, drawings, negatives, and maps began to go into dumpsters. Because of their historic value, appeals were made to the San Francisco chief engineer and to the Sacramento division superintendent. Fortunately this stopped the “dumping” of the files and the eventual gifting of all the files located in the Dunsmuir vault along with selected files from the Dunsmuir engineering office prior to 1957. These files dealt with the historic development of the Shasta Division, its Dunsmuir Headquarters, and the communities and lands along the tracks of the Shasta Division; And as such were to be handled and maintained as a collection, rather than in pieces. Many of these files give the valuable insight of the “What, Why and How” of Dunsmuir’s being what it was. Now that the archives are in the Dunsmuir Museum, they will be accessible to the public when the Museum is open and by appointment. 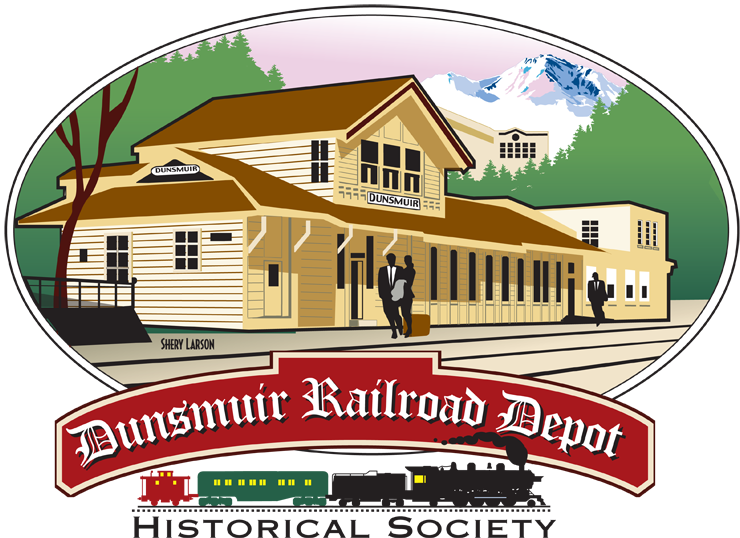 These archives will continue to be a valuable asset to those who do railroad history, those who model railroads, and those interested in Dunsmuir and Siskiyou County history. For additional information, contact Jerry Harmon at 530-926-2257 or Phyllis Skalko at 530-235-0839.